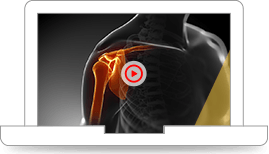 If you are searching for a highly skilled experienced orthopedic surgeon, you need search no further. I am a 55 year old life-long athletically active male. In March 2014, I was diagnosed with bi-lateral hip dysplasia, with no option for relief but to have both hips replaced (Total Bilateral Hip Replacement). Having consulted with several highly regarded othro surgeons in town, I chose Dr. Fabi. This past summer (2004), Dr. Fabi replaced both my hips (6 weeks apart), and the result is nothing short of miraculous. Although everyone is different in terms of his or her period of recovery, I was, among other activities, hiking and going to the gym two weeks after the surgeries, and, for an added bonus, I am an inch taller!! Prior to the first surgery, I could barely walk down the block. It's now a whole new life. Dr. Fabi encompasses all those qualities and attributes one would seek in a highly skilled surgeon. 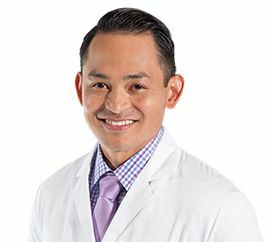 Beyond his top-tier training, his experience and his resulting skill level, Dr. Fabi's disposition is one of great courtesy, with an easy going, yet confident manner--in short: A first rate professional. Highest recommendation. I would tell anyone thinking of addressing hip pain to have David Fabi perform the surgery. His skill and care was the best imaginable. For the 3 years before my surgery, I was becoming more and more limited in the activities that I loved to do. I was 64 and beginning to limp and engaging in sports was getting more painful. Within six weeks after Dr. Fabi performed a full right hip replacement, I was was back to doing yoga classes 3 days a week. I was skiing in less than 2 months and skied all winter long, as well as doing my 40 mile bike rides. I could do all of this with no pain, because Dr. Fabi was able to skillfully perform minimally invasive surgery and carefully guide my post surgery recovery. I was back home after surgery in 2 days and, other than a small 3 inch scar, you would never know I had hip surgery. I was free of pain from my first day home. The prescribed physical therapy returned me to full mobility within just a few weeks and allowed me to return to all of my pre-surgery sports and activities. The whole experience was so much better than I ever expected. I am very grateful and praise his professionalism and care. He is simply the best. In June, 2011, at the age of 72, I had a total hip replacement on a Monday morning. On Wednesday the physical therapists at the hospital had me walking up and down stairs and I went home on Thursday to a three-level house. Three weeks later I was driving, and it was my right hip that was replaced. At the end of six weeks I was discharged from physical therapy and my husband and I departed on a three-month RV trip. One year later all is in great working order and I am almost looking forward to having the left hip replaced. Thank you, Dr. Fabi! You are indeed fabulous. I found Dr. Fabi and his entire staff to be personable , efficient , knowledgeable , caring and just plain " good " at what they do , which in my case was a total knee replacement on January 16th of 2012. Of the one hundred or so questions i had in my mind to ask i would say that ninety - five were answered with-out even having to ask , just listen . Jennifer in charge of scheduling kept me informed and followed up on all details and i was always in good hands with Alissa docs nurse. I never had to wait more then five minutes in the waiting room for my after surgery appointments which speaks to their efficiency . I especially appreciated doc challenging me by setting a goal of walking into his office for my fourteen day after surgery appointment without a walker , crutch or cane. He told me it doesn't happen often but because of my age of fifty - nine and my good physical condition i had a chance to do it. I found myself on the morning of the ninth day still hanging onto the walker and realized i was not going to make our goal at the rate i was going. I believe it was a bit of a fear factor i had to overcome. I stopped using the walker that very morning indoors and quit using it outdoors on the thirteenth day. When i walked into docs office the next day without the walker he said to me " Jim , your my hero " and boy was i geek-ed up !! That made me feel great. Due to docs skill , a very good therapy program and keeping myself in very good physical shape i was able to resume cycling , body sculpting , pilates and yoga [ yoga is somewhat slow and awkward but coming along ] the first part of April at my local Y.M.C.A. in Nashville , Tn. I also played eighteen holes of golf on the ninety - ninth day after surgery with-out pain and none the day after. I hope and expect to be one - hundred percent back to where i was physically before surgery by November first , a goal i have set for myself. I had also expressed to doc before surgery that i trusted him and had confidence in his inside the knee work but being a vain guy i was concerned with how the scar would look and would appreciate his very best sew job as it was important to me , the patient. I emailed him my one-hundred day or so progress report never mentioning my scar. He answered the email with very encouraging words and comments and to my great surprise and pleasure asked me " how does your scar look " ? He must have got an " A " in sewing while he was in doctor school as it looks very , very good !! I was referred to Dr. David Fabi in January of 2012, and had partial knee replacement in early March. I have great respect for Dr. Fabi as a very professional, conscientious, resourceful, first-rate physician, and I enjoy his positive attitude. The morning of my surgery, Mercy hospital had a flood affecting the elevators, surgery room and.....many of the "other doctors attitudes" in the pre-op surgery room.....but not Dr. Fabi. He was absolutely wonderful, positive and resourceful as always. My surgery went on without a hitch. His energy and enthusiasm carries on to is staff, the all have a "Can Do" outlook. How refreshing is that? I consider Dr. Fabi very competent and I appreciate his attitude and that of his staff. The fact that he remembered my concern four months later and asked about it shows a very caring person who also happens to be a great doctor in my opinion.